Homepage for Author Mark Carver: EAT RIGHT AND EXORCISE! 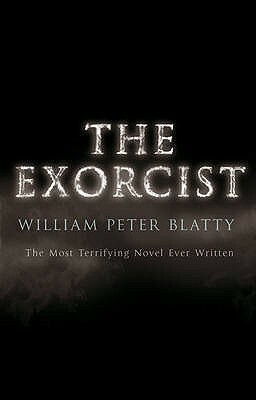 I just blazed through William Blatty's The Exorcist, and it pretty much blew my mind into a million pieces. I've never seen the film and though I knew the general idea, the book was very nearly a masterpiece. It also got me thinking: demon possession is real (and so are exorcisms, though I don't necessarily believe in the ritualized Catholic version - a simple "I cast you out in the name of God!" was good enough for Jesus' disciples). Anyway, the terrifying behavior that Blatty describes is also real (The Exorcist is purportedly based on true events), and I applaud Blatty for telling a nuanced story of skepticism, faith, doubt, psychiatry, trauma, and impossible phenomena, rather than just a spooky battle of wills and crucifixes. I wouldn't label The Exorcist as a Christian book; in my mind, it drew similar parallels to Bram Stoker's Dracula, in that resolute faith in God's power and recognition of man's unworthiness are essential to defeating the devil and his lies, though distinct Christian doctrine is left out. But what if a Christian author penned an explicitly Christian book, but included all of the withering obscenities and graphic vulgarity that Blatty uses? Not just to shock and horrify, but to ground their story in reality? In my recent books, Satanism is a major themes and I allude to perversions and rituals, but it's mostly done for melodrama and atmosphere. But what if a Christian author took that bold step and blended the obscene with the holy (and wrote an awesome story too)? What would be people's reactions? I am sure there are plenty of "true" accounts of things like this, but what would happen if the author wrote a story that was pure fiction, yet chose to include graphically horrifying elements? Conservative Christians and churches would probably decry it outright, and perhaps within reason. Just because something is compelling and real doesn't mean it needs to be dwelt upon. But stuff like this isn't just the product of demented authors looking for twisted ways to goose the audience; it's documented and real in some form or another. I just wonder how the Christian market would respond.